A passionate political campaigner and an avid sports fan, Fran Burke loved a good competition, but it wasn’t just about victory. She liked the competitive energy that brought people together, regardless of which side they were on. “She always had a different perspective on things,” said state Representative Jay Livingstone, a Boston Democrat who added that Dr. Burke focused on the common ground between people and always encouraged officials to seek unity, even with their political opponents. A Suffolk University professor emerita who fought for more female representation in politics, Dr. Burke died Aug. 23 in her Beacon Hill home from complications of congestive heart failure. She was 88. Across the country, she advocated for female leaders, from political candidates to her own daughters and granddaughter. Attorney General Maura Healey, who met Dr. Burke while campaigning for the state office, said her greatest joy would have been witnessing the election of the first female president. “With Fran, you always had this feeling that you were with someone who understood a broader context, understood decades, centuries of struggle around these issues and was always going to be pressuring people, right to the end, to do what was right and what was just,” Healey said. As she became a fixture in Boston’s political circles, Dr. Burke established a strong reputation as a social justice activist, a reliable campaigner, and an iconic figure in the fight to get more women elected. When Healey was introduced to her just a few years ago, she was told Dr. Burke was the woman she needed to know to win. Frances Katen, who was known as Fran, was born in New York City and moved to Milton as a teenager. She went to schools in Milton and attended Suffolk University, from which she graduated with a bachelor’s degree in 1950. Shortly after, she married Robert Henry Burke, with whom she had two daughters. They divorced in 1961. Dr. Burke returned to school in 1971 and graduated from Boston University with a joint master’s degree and doctorate in political science. In 1975, she joined the Suffolk University faculty, teaching classes in what is now Sawyer Business School. During her 25-year tenure, she chaired the public management department and introduced classes about global management ethics and ethical decision making. Dr. Burke became a professor emerita in 2000. “She felt everybody should have the opportunity to learn and continue learning their entire life,” said her daughter Sarah Quinlan of West Palm Beach, Fla. 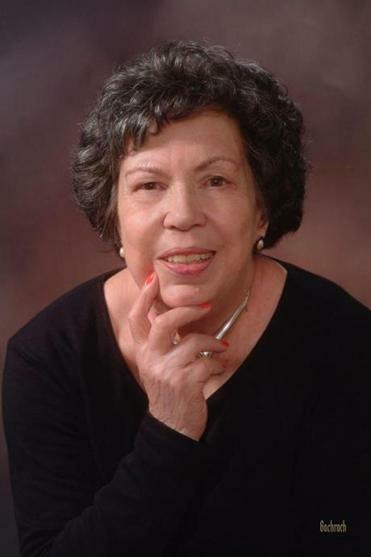 In 2012, Dr. Burke began serving as vice chair of the Boston Ward 5 Democratic Committee, and though she was passionate about her own political views, she had remarkable respect for those of her opponents, said her granddaughter Katen Manion of New York City. Dr. Burke’s patience and appreciation for the views of others gave her the ability to converse with anyone, said Manion, who is Sarah’s daughter. Along with her academic career and political activism, Dr. Burke coedited a book about ethics and traveled to Vietnam during the Vietnam War to teach police chiefs about ethical behavior. She assisted in fund-raising for Hillary Clinton’s campaigns, including her current run for president. Dr. Burke even founded a consulting company, called Integrity International, which specialized in management ethics. Her numerous honors included the 2013 Simmons College Lifetime Achievement Award, the 2015 Unsung Heroine award from the Massachusetts Commission on the Status of Women, and an Ethics Lifetime Achievement Award this year from the American Society for Public Administration. Ever since Manion was young, her grandmother taught her the importance of public service, bringing her on tours of the State House and to rallies for equality. And despite the New York roots Manion and her grandmother share, both supported Boston teams. A memorial service has been held for Dr. Burke, who in addition to her daughter and granddaughter leaves another daughter, Louise Locke of Seattle, and a brother, Frank Katen Jr. of Silver Spring, Md. Dr. Burke’s advocacy for unity and peace inspired candidates across the city, said Livingstone, who added that he heeded his mentor’s advice.